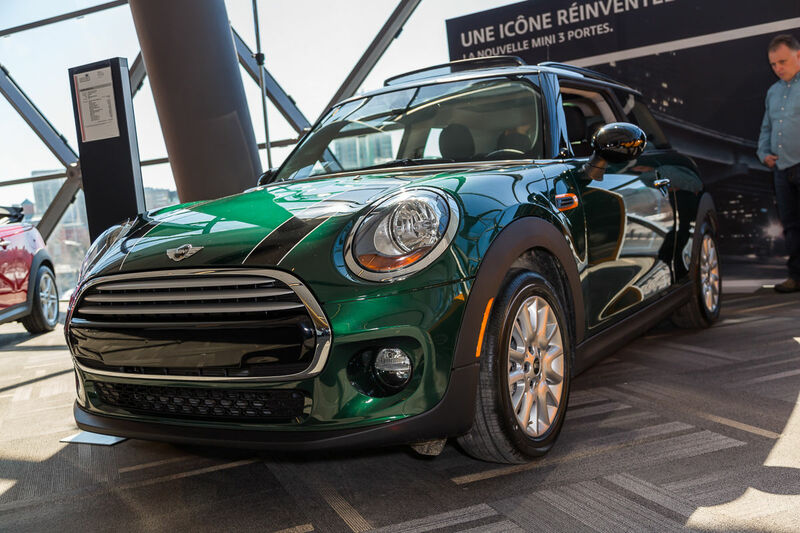 The MINI 3-Door, now with that moniker thanks to the introduction of a brand new 5-Door version, is the standard Cooper hatchback you’ve come to know and love since it was brought back to North America in 2002. Well, since then it’s matured quite a bit, and this latest iteration is no exception. 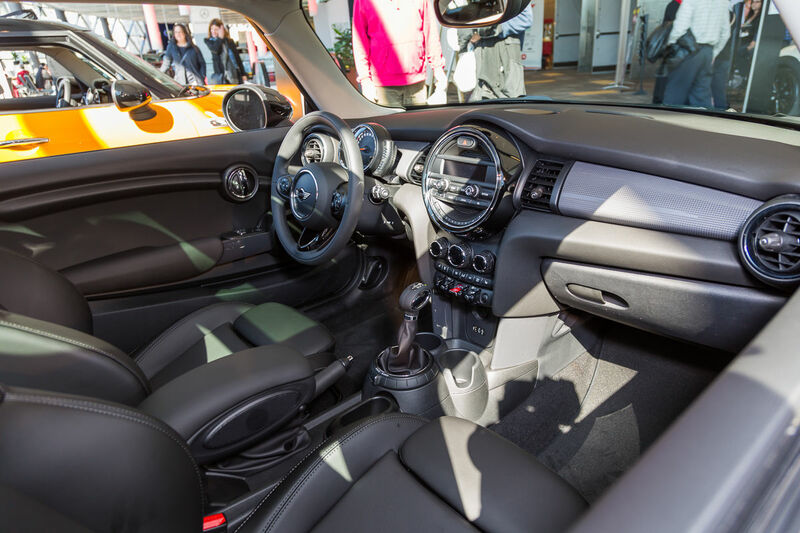 For starters, the base 2015 MINI 3-Door is now equipped with a Twin Scroll turbocharged 3-cylinder mill that produces 134 horsepower and 162 lb-ft of torque. 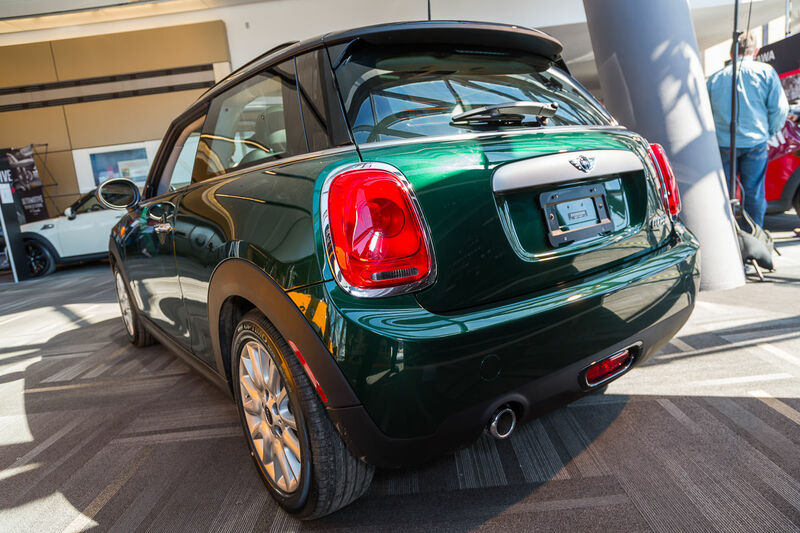 Move up to the Cooper S and you’ll find a 4-cylinder 16-valve Twin Scroll turbo engine that pumps out 189 horses and 207 lb-ft of torque. And then there’s the most powerful MINI to date: the John Cooper Works that utilizes a 4-cylinder 12-valve Twin Scroll turbocharged engine that produces 228 horsepower and 236 lb-ft of torque. Transmission choices reside in a 6-speed automatic and a 6-speed manual, regardless of model choice. 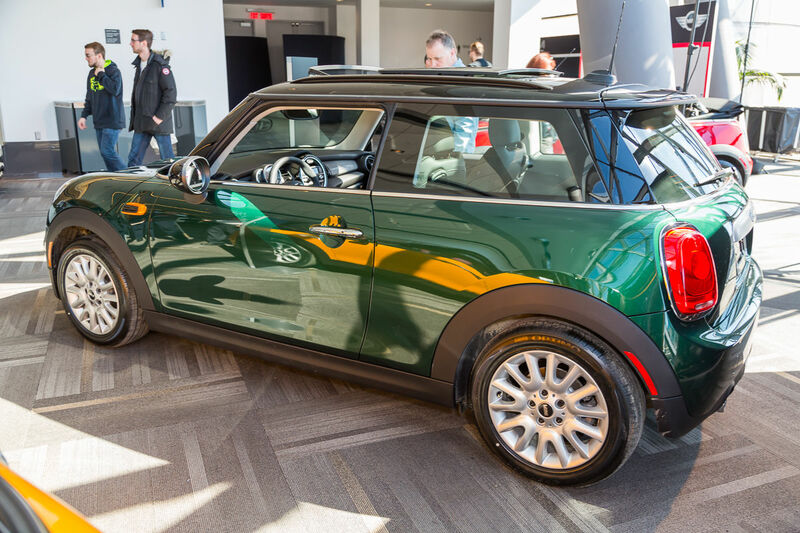 The exterior look of the 2015 MINI 3-Door is updated from the previous generation with a slightly elongated nose and rounded rear. 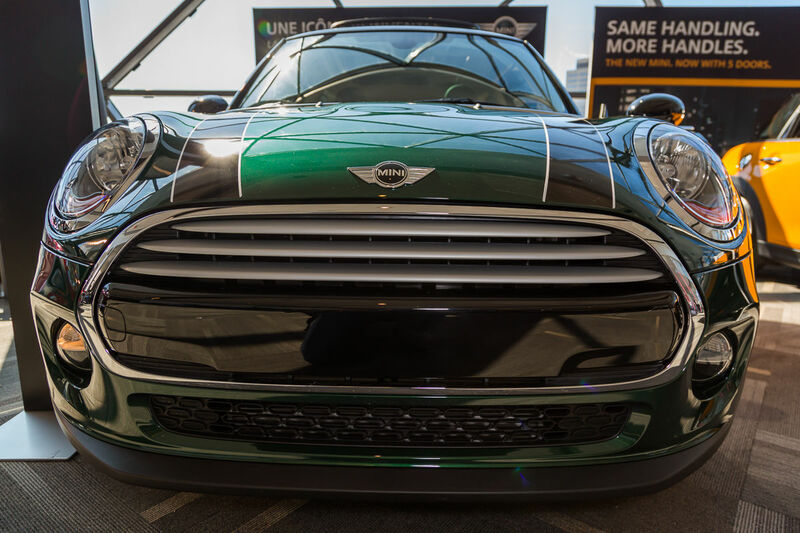 The infamous MINI grin remains, as do the bulbous headlamps and clamshell bonnet cover. The MINI 3-Door can still be customized to the nth degree in a multitude of colours, hood strips, roof decals and mirror caps. Features such as the chromed toggle switches and MINI Excitement Lights (ambient lighting) have been carried over from the previous generation. New for the 2015 model year are the placement of the power window buttons (not on the doors themselves) and the bright red toggle start/stop switch. 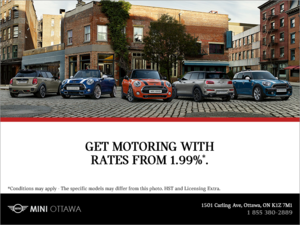 In all, the 2015 MINI 3-Door embodies the MINI spirit from nose to tail and is an absolute hoot to drive (in true MINI fashion). 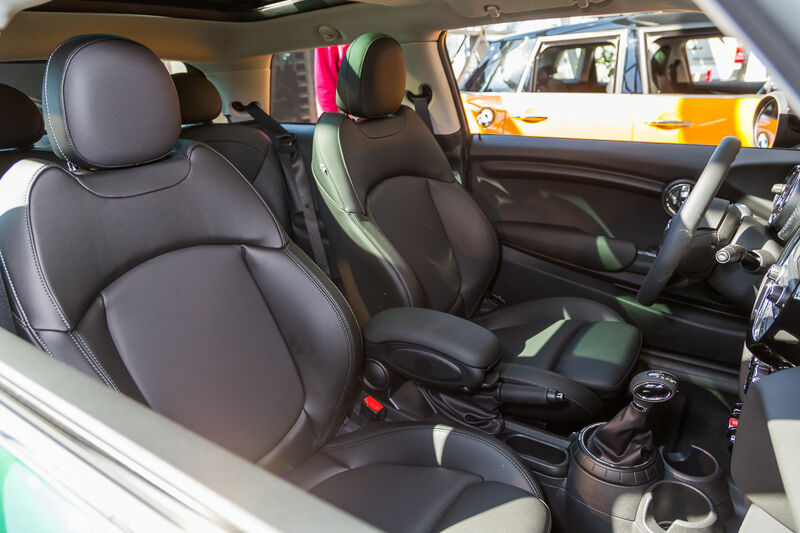 With go-kart-like handling and a fabulous new 3-cylinder, the 3-Door is versatile and fashionable.